Apart from Come, Holy Ghost at parish missions, some Marian hymns for May and October devotions, and of course Holy God, We Praise Thy Name at Benediction, English-language hymns were not a significant part of growing up Catholic in the 1950s and early 1960s. I first heard O God, Our Help in Ages Past not in a church but watching Ichabod Crane fleeing in terror from the Headless Horseman, fortifying himself by singing that wonderful hymn. I never forgot it and, having it heard and sung it in churches many times since, I have always loved it. I chose it to open my Mass of Thanksgiving this past Sunday obviously because of its beauty and widespread familiarity - I saw people actually singing in church! - but also because it so accurately expressed my mood of gratitude for blessings past and confident hope for blessings future, which it was my hope to express at Sunday's liturgy. I think the hymn worked very well for that purpose! After all the private goodbyes, Friday's parish celebration, and yesterday's magnificent Mass of Thanksgiving, finally at dawn today it was time to move! I can barely begin to express how emotional for me these past few days have been. The 200 or so parishioners who came out in the heat to to attend Friday evening's parish party and all the affection they showed touched me deeply, as did Fr. Gil Martinez's kind words. Then the Mass yesterday, the presence of so many parishioners and of at least one old friend from Good Shepherd (who had also traveled to Toronto in 1995 for my ordination), the magnificent music (highlighted by Mozart's Alleluia, reminiscent of my 1st Mass 15 years ago at St. Malachy's, and the incredible standing ovation at the end inevitably brought me to tears. Having so long lingered in something resembling the non-planet Pluto for much too much of my Paulist life, I finally felt a real corner had been turned in my journey. And now the parties are over, and the work begins! May SS. Joachim and Anne, whom the Church honors today and whose union gave the world the Immaculate Virgin Mary, the patroness of my new parish, pray for me as I prepare to assume the responsibilities of my new ministry! It has, occasionally, been alleged that if I don’t know an answer, I just make something up. So let me assure you right away that everything I am saying to you today is for real – and from the heart. An Episcopalian friend of mine once told me (more than 30 years ago now) that having a set Lectionary, instead of being able to choose the readings for yourself, is actually a great blessing, because it forces you to let God’s word set the theme instead of setting it yourself. If it had been up to me to pick the scripture readings for my final Mass as your Associate Pastor today, I very much doubt I would have chosen Abraham’s tedious argument with God about the doomed Cities of the Plain (Genesis 18:20-32). But that’s what the Church has set before us today – I presume in order to reinforce the Gospel’s emphasis on perseverance in prayer (Luke 11:1-13). To be honest, I’m not sure how well that pairing actually works. Apparently, after all Abraham’s persistent effort, not even 10 innocent people could be found, and so the cities got destroyed anyway – not really the best advertisement perhaps for the benefits of petitionary prayer. Jesus may have had that in mind with his charming story of the father who knows enough to give his son the right fish or egg, no matter what. The reality is that a lot of our prayers don’t seem to get answered – at least not when and how we want them. I can remember praying to become a priest for far too manyyears before it finally happened. Now that I am finally getting to do what priests are primarily meant to do, serve a community as its pastor, one helpful friend recently quoted these words of Jesus to me and suggested tha tthe ;ien between the egg and the scorpion may be a very fine line indeed. Maybe that’s why Jesus introduced his discussion of prayer with a prayer text of his own. Volumes have been written over the centuries about the Lord’s Prayer, and I certainly have nothing new or brilliant to add – not even anything to make up! But it does seem to me that Jesus was making a point by the way he structured his Prayer. The first part of it is all about our conforming ourselves to God's agenda. The fact is God’s name will be hallowed, and God’s kingdom will come, whatever we say or do. What we’re really praying for here is that we may be fit for membership in God’s kingdom. When we look at it that way, then everything else we pray for in the Lord’s Prayer - and everything else we ever pray for anytime - only makes sense in relation to that primary petition. Abraham could presume on God’s response because he had already so completely aligned himself with God’s will. So whatever we pray for, it becomes true prayer insofar as we are striving to align ourselves with God’s will and God’s kingdom, a task that is really the work of a lifetime. Jesus invites us – indeed, challenges us, and it is a challenge, because it really is hard sometimes to believe that our prayers are going to be answered. Jesus challenges us to trust that, whatever work we do and wherever we do it, when we align ourselves completely with his kingdom and make that the primary thing that we are about, then everything else will fall into place. So now it’s time to say good-bye. (By this time tomorrow, I should be already ¾ of the way to Knoxville). It’s been a great 10 years, and I cannot begin to express how grateful I am for everything – and above all for you, the people of Saint Paul the Apostle Parish, who have made this parish what it is and have made my time here such a blessing and a joy. I have repeatedly reminded people these past several weeks that good-bye does not necessarily mean farewell, and that with today’s technology people can remain as connected to one another as they care to be. Much more importantly, however, I believe – presumably we all believe (which is why we are in this Church here today) – that we are already all connected to one another where it matters most in the Body of Christ, the Church. Wherever we go in life, whatever we do, whatever our successes or our failures, we all always have a place together at the Lord’s Table. And so, since the Church invites us to talk about prayer, I ask you finally to pray for me, to pray that I will be the person, the priest, and the pastor God has called me to be – that, as a person, my relationship with the Lord will grow ever more real, that, as a priest, I may be ever more conscious of the great treasure I have received in this vocation, and that, as a pastor, I may be a worthy shepherd for those I have been sent to serve. For anyone who cherishes his friends and values stability in life, saying goodbye has to be hard. The consciousness that goodbye doesn't necessarily mean farewell makes it easier, of course , as does the sense that we are all - and remain - connected as part of something so wonderful and so much bigger than ourselves - our life together as Christ's Body, the Church. On the other hand, the practicalities of moving - packing, throwing things away, recording one's change of address, transferring files from one computer to another, etc. - all that stuff is stressful, to say the least. But that stuff is also, of course, temporary. The human relationships - personal and pastoral - are lasting, which is what makes the many rituals of saying goodbye so precious. My final week in New York began with a Paulist in my honor in the 59th Street Paulist residence. At mid-week, I went to Peekskill in Westchester for a fun and nostalgic goodbye dinner with 5 of my cousins and their husbands. Then last night the parish pulled out all the stops at a fantastically festive celebration in the parish center. It was a great reflection and a true celebration of the wonderful community we have together created here over these years. Tomorrow, it will be my turn to ritualize all that, celebrating Sunday Mass here for the last time as associate pastor and giving thanks for the privilege of serving here these past 10 years and for all the blessings I have received and for the blessing these 10 years have been for all of us who have called St. Paul the Apostle Parish our spiritual home. For we do not preach ourselves but Jesus Christ as Lord, and ourselves as your slaves for the sake of Jesus. For God who said, "Let light shine out of darkness," has shown in our hearts to bring to light the knowledge of the glory of God on the face of Jesus Christ (2 Corinthians 4:6). Tonight will be my last monthly discussion of “Great Catholic Fiction” at St. Paul the Apostle Parish in New York. The sadness of saying “good-bye” to what has become one of my favorite parish activities is being balanced somewhat by my joy at being able to end my participation in this series with such a wonderful book – Kristin Lavransdatter (volume 1: The Wreath), by Sigrid Undset (1882-1949), Norwegian novelist, Catholic convert, and winner of the 1928 Nobel Prize in Literature. The Wreath is the first volume in a trilogy about the life of a certain Kristin Lavransdatter, dramatically set in 14th-century Norway. Beautifully written, the book effectively evokes the feel of medieval Norwegian society. The reader is immersed not only in the inner life of the book’s heroine but also in the interpersonal relational dynamics of her family - immediate and extended - and her local rural community. Reading Undset, I felt I could begin to feel what it would have been like to live in such a family, in such a place, in such a time. Interwoven, meanwhile, with the micro story of Kristin and her family is the macro-story of Norway’s nobility and monarchy and that most omnipresent of all medieval social institutions, the Catholic Church. Undset effectively evokes the varied facets of the Church’s presence – powerful monasteries and convents, charismatic itinerant friars, the village priest and his family, still at some level competing against and coexisting with the rooted remnants of older ways. On top of everything else, Kristin goes through a process of personal development that causes her to overstep conventional expectations to insist on her own (but by no means more certainly successfuly) path to personal happiness – a plot contemporary readers may well regard as surprisingly modern (which may actually say more about us than it says about the Middle Ages). My only regret is that my preoccupation with my move has made it impossible for me to follow reading The Wreath with its two sequels, The Wife and The Cross. But I fully intend to read them as soon as I have the opportunity! In the Jewish calendar, Tuesday, July 20 (which, of course, begins at sundown tonight) will be Tisha B'Av, the fast of the ninth of Av (the fifth month of the Jewish year 5770). It is observed as a day of mourning to commemorate the destruction of the first and second Temples, both of which were destroyed on the ninth of Av (the first by the Babylonians in 586 B.C. and the second by the Romans in 70 A.D.) By extension, it also commemorates other tragedies that have befallen the Jewish people throughout their history - among them the expulsion of the Jews from Spain on August 3, 1492 (9 Av 5252), the same day incidentally on which Columbus set sail on his first voyage to the New World. 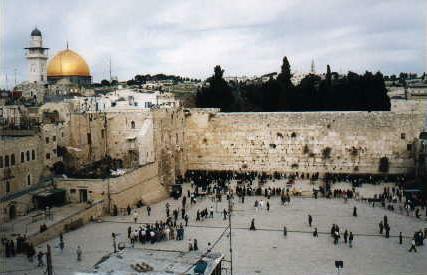 Traditionally, Tisha B'Av is preceded by a three-week period of increasing mourning, during which weddings and other such celebrations are not permitted. On Tisha B'Av itself, a strict fast is observed along with many traditional practices of mourning (sitting on low stools and refraining from laughter and idle conversation). In synagogue the book of Lamentations is read, and the Torah Ark is draped in black. Tisha B’Av is a reminder not only of the Temple and its long abandoned rituals but of the special significance for Jews of Jerusalem as the Holy City and of the fundamental importance of the actual land of Israel in God’s covenant with Abraham. A Christian will naturally recognize in Abraham’s descendent Jesus the fulfillment of God’s promise to Abraham that “in your descendents all the nations of the earth shall find blessing” (Genesis 22:18). What seems beyond debate (to me at least) is the specificity of God’s promise to Abraham about the land as a component of that covenant. Speaking of God’s covenant with Israel, St. Paul wrote the gifts and the call of God are irrevocable (Romans 11:29). Scholars and theologians may debate how to relate this saying of St. Paul to the rest of the New Testament and what it may mean in practice for the mission of the Church today. What must it also mean for our attitude to the physical place itself? This past week, as I was packing for my impending move to Tennessee, I noticed the words on a picture frame someone had given me many years ago: Be not forgetful to entertain strangers; for thereby some have entertained angels unawares. That’s Hebrews 13:12 (in the 17th-century King James Translation), and it refers back to 2 famous stories in Genesis – the one proclaimed at Mass this Sunday about Abraham’s hospitality to three “men” who showed up at the entrance of his tent (Genesis 18:1-10a), and again, a little later, Lot’s hospitality to two of these same “men” when they showed up to extricate Lot from the doomed city of Sodom. Both stories highlight ancient middle eastern expectations and traditions of hospitality. Abraham in particular is depicted as an especially lavish host. One rabbinic midrash interpreting this story says that Abraham kept his tent open on all four sides, so that he could quickly welcome travelers approaching from all directions! Extravagant middle eastern hospitality as practiced by the virtuous Abraham certainly sets the scene for what happens in the story, but it is essentially just that – a scene-setter. If we see this story mainly as a lesson about being welcoming, we might miss the less predictable part of the story, when the visitors surprisingly asked Abraham, “Where is your wife Sarah?” and Abraham (apparently ignoring the breach of decorum in such a question about their host family’s private life inside the tent) actually answered, thus setting the stage for the guests’ amazing response, “I will surely return to you about this time next year, and Sarah will then have a son.” Only then does it become fully obvious what the story is really all about – not Abraham’s conventional hospitality to his guests, but his unconventional guests’ revelation of God’s plan and promise. The setting for today’s gospel story (Luke 10:38-42) also starts out as a conventional scene of hospitality to an honored guest – Jesus being welcomed and waited on by Martha in her home. 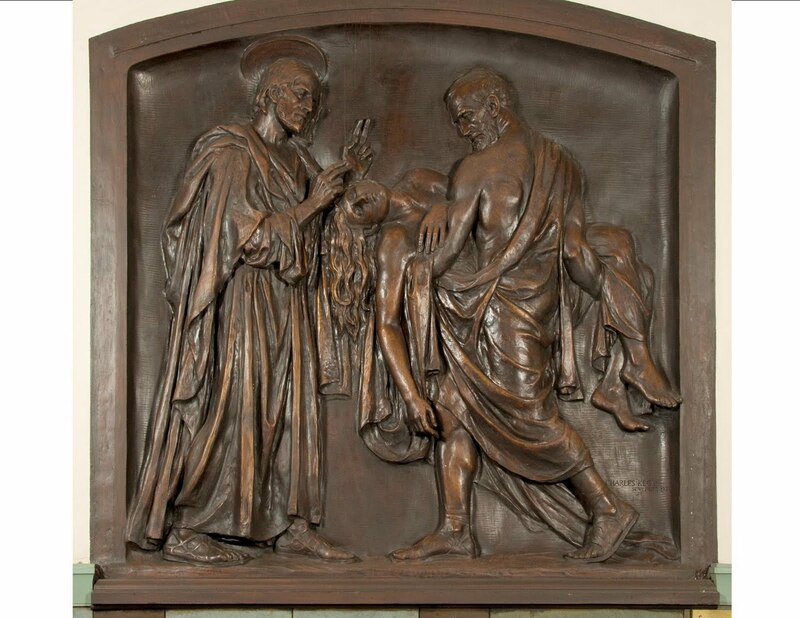 This story of Jesus at Martha’s home is more easily recognizable and familiar. It could take place almost anywhere, at almost any time - even in a midtown Manhattan apartment. And anyone who has ever hosted a party or planned and coordinated a social event of any kind can immediately relate to Martha’s being burdened with much serving. Again, however, the heart of the story is not Martha’s welcoming behavior, but the breakdown in decorum caused by Mary’s not helping her sister. For centuries, this story has been cited to represent two complementary traditions in the spiritual life – the active, represented by Martha, and the contemplative, represented by Mary. Nowadays, it is sometimes seen as symbolizing two particular personality types. When we hear someone spoken of as a Martha or a Mary, biblically literate people immediately recognize what is being suggested. Obviously, hospitality is important. Presumably, Jesus and his disciples expected to be fed, and did actually appreciate all of Martha’s efforts to provide them with a proper welcome in her home! Likewise, being a welcoming community is often hailed as a great thing in parish life. But, as Martha was to learn, welcoming is only the first step and certainly not an end in itself. For Martha in the gospel, as for Abraham earlier, much more important than their hospitality to their guests was the identity of their guests and what they had to offer to their hosts. Likewise, for us, being a welcoming community is at most a first step – an important first step, to be sure, but only a first step. The important question is to what and for what are we welcoming one another? In the Abraham story, the regular rituals of hospitality led to the unscripted, unexpected promise of an immediate heir, while, in the gospel, Mary listened attentively to the ultimate fruit of that promise, Abraham’s greatest descendant, Jesus. Abraham and Mary listened to the Lord’s word, and as a result their lives would never be the same again. When we welcome one another to the Lord’s table, let us learn to imitate Martha’s solicitude in order all the more to imitate Mary’s receptiveness. Packing is a chore. It’s demanding physically and even more challenging emotionally. With a little help, one can easily get through the physical effort and difficulty. With a lot more help, one can also get through the emotional stress that permeates the entire process. I am so grateful to my dear friend and co-worker Kathy for her generous assistance and her efficient way of approaching the process! Right now, it looks like I will have some 35 or so boxes to ship to Knoxville early next week. All things considered, I guess that’s not too much accumulation after 62 years of life and 10 years in one place! That, however, is still after having given away lots of books and other nice things and having thrown away an incredible amount of paper and other such stuff. It feels good to get rid of things. It feels especially good to give things away, particularly when one is giving away things like books to those who are really likely to use and benefit from them. Even so, it is still hard to part with things. Hence the 35 boxes that remain! Jesus encouraged his disciples to travel light (cf. Luke 10:1-9). Detachment is surely a great virtue – and a necessary one. Still, the attractiveness of things is a powerful one. Nor is it altogether bad. After all, without books I would not be the person I am. I really just cannot imagine myself living without constantly reading and learning. As for all those other modern gadgets that have become so important a part of our wired – and wireless – world, well maybe one doesn’t need all of that stuff. Certainly multi-tasking is a highly over-rated alternative to actually paying attention to something – or to someone. Still, without my computer and my phone, without email and Facebook, my existence (while certainly livable) would undoubtedly be poorer relationally. And that is no small matter! So, while detachment is indeed a virtue and giving things away is certainly good, it seems that living productively in this world and maintaining fulfilling human relationships will probably always require at least some things – maybe even at least 35 boxes worth! There is a scene in the 1971 film The Emigrants, when, just before leaving their impoverished existence in 19th-century Sweden for the greener pastures of Minnesota, the Larsons (played by Max von Sydow and Liv Ullmann) visit the graves of their deceased children. It’s a very poignant scene, because both they and the audience know they will never be back to visit again. I thought about that scene today as I visited Gate of Heaven cemetery in Westchester, where my father and my sister are buried (as well as my maternal grandparents and an aunt and an uncle). Of course, my impending move is nothing like that of the 19th-century Larsons. Not only do I fully expect to visit New York again many times, but I will almost certainly see that specific cemetery again. Back in the 50s and 60s, when we used to visit the cemetery several times a year as a family, I had only a grandfather and an uncle buried there. Then my grandmother joined them in 1967. 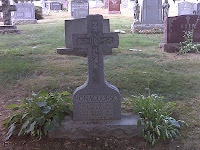 Much later, my father was buried there in 1999, followed by my sister Christine, who died in 2007. 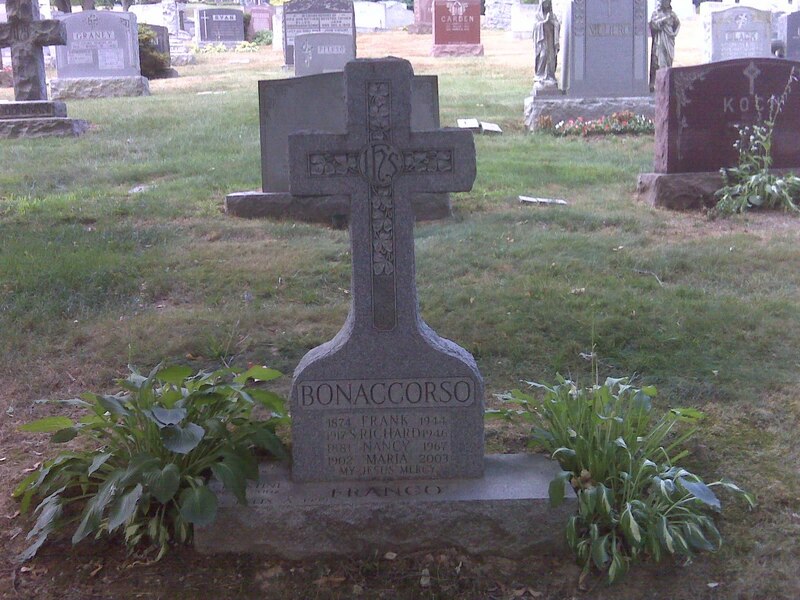 I also have cousins buried elsewhere in the same cemetery, which is also the resting place various other friends and acquaintances, as well as any number of those whose burials or funerals I have been privileged to celebrate in the course of my ministry here in New York, first at Good Shepherd in the 1980s and then these past 10 years at St. Paul’s. A cemetery certainly evokes a sense of place. It represents a very tangible connection, not just with particular people but with a particular place connected with those people. Wherever I may move, the cemetery where my father and my sister are buried will forever connect me with this particular place, this part of the world. Cemeteries are, obviously, about separation, the supreme separation between the living and the dead. But a cemetery's permanence as a physical place to which the living return to visit makes it also about connection, the connection between the living and the dead in the communion of saints, and also the connection one feels with the particular locale one shared with the dead while they were still alive. There really are few things more exasperating, I think, than asking a serious question and not getting a serious answer – whether it’s an evasive answer that one gets, or maybe no answer at all, or (perhaps worst of all) another question instead of an answer. If the lawyer in today’s gospel (Luke 10:25-37) was at all like most of us, I think he must have been very exasperated with Jesus! Now who wouldn’t be satisfied with an answer like that from Jesus – to any question, any time? Of course, the lawyer was able to answer so well because he had been properly instructed in the Jewish law, and so he could quote it correctly. “You shall love the Lord your God, with all your heart, with al your being, with all your strength, and with all your mind, and your neighbor as yourself” (Deuteronomy 6:5; Leviticus 19:18). But the lawyer was, after all, a lawyer; and so, we are told, he wished to justify himself. He demanded further clarification. The law says I am supposed to love my neighbor as myself. OK, then just who exactly counts as my neighbor? Some two millennia later, we’ve all already heard this parable so many times that we all already know the story. And, because we already know the story, we’re not at all surprised when (of all people) a Samaritan appears as the hero. So we can call it the “Parable of the Good Samaritan,” conveniently forgetting, for example, what a complete contradiction in terms that phrase, “Good Samaritan,” would have been to the people who first heard this story from Jesus himself! Of course, our only experience of Samaritans is this story (and others like it). We certainly haven’t experienced Samaritans the way the lawyer (and the rest of those present) would have experienced them. So we completely miss the surprise, the shock, the real scandal in the story – and so also miss the ultimate point, which is the parable’s invitation to us to think about things in a new way. And, of course, we also see this story (as the title we’ve given it suggests) from the hero’s perspective – forgetting that Jesus’ hearers would not have known who the hero was going to be, and so would likely have heard the story from the victim’s perspective. Lets’ remember the context – a discussion about the law, the Old Testament’s law of love for God and neighbor. Jesus never answered the lawyer’s original question. He let the lawyer do that himself. We don’t need Jesus just to quote the law to us. We can do that ourselves. But we do need Jesus to make the commandment come alive in our world. We need him to tell us who is our neighbor. “And who,” the lawyer had asked, “is my neighbor?" The way the lawyer framed that question (and the way we hear that question today) it means “To whom do I have some obligation?” That’s not a bad question, but it’s an ordinary kind of question. It’s part of the ordinary logic of our ordinary world, which wants to know, Is this person my neighbor? Is this someone whom I am required to help? Is that something owed to him or her – by me? In short, what is the legal or moral minimum that I as a socially responsible, ostensibly moral person am obliged to do? But … if we identify (as we were presumably intended to do in this story) with the victim, then that will hardly be our question. Jesus in the story has subtly shifted the focus from neighbor as an object of obligation, someone to whom duties are (perhaps grudgingly) owed, to neighbor as someone who acts, someone who intervenes, someone who saves, someone who acts on my behalf and comes close enough to touch me and become my friend. Now (as everyone in Jesus’ audience would presumably have understood) in our ordinary world both the priest and the Levite would have had very legitimate reasons, when they passed by, to stay on the opposite side. In order to do their jobs, they had to remain ritually pure, which precluded contact with corpses (a real danger here, since the victim, so we’re told, was left half-dead). The Samaritan, on the other hand, was already impure. He was impure by definition, just by being who and what he was - a Samaritan. So he had nothing to lose by touching the wounded man – nothing to lose, that is, except his right to remain aloof. But the point of the parable is that he did not remain aloof! The stranger has become our neighbor! Jesus’ parable portrays otherwise ordinary people in an otherwise ordinary world and one person, a Samaritan, for whom nothing is ordinary anymore. It gives us a glimpse of how God acts – as seen in the actions of Jesus. The question for us is whether we want to enter into that new world. This “Parable of the Good Samaritan” is thus actually a story about Jesus, whose whole story is about the neighborliness of God, the distant stranger who has now become our friend. To ask, as the lawyer did, what the minimum is that I must do presumes that we experience the moral life as some sort of burdensome obligation – that we, in effect, experience God and one another and life in general as burdensome obligations. That is the ordinary logic of our ordinary world. But the God who is no longer a stranger to us, because he has become our neighbor, has given us – in Jesus – a glimpse of God’s extraordinary logic and God’s new world. 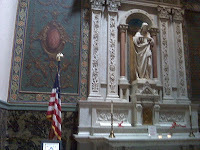 Homily at St. Paul the Apostle Church, NYC, July 11, 2010. Moving is said to be one of life’s most stressful experiences – especially for us older people. Age surely adds to the stress, but I suspect the stress may be inherent, given what I believe must be a natural human desire for stability. I’ve often wondered whether human beings may have been meant to remain permanently within walking distance of the place they were born. My guess is that our hunter-gatherer ancestors lived and died within a fairly confined territory, from which they emigrated most likely only under duress when pushed by stronger tribes invading their territory or other natural calamities. (And, in any case, when they moved they would have moved together as a group, not as we do now as isolated individuals). Theologically, there must be something one can make of the fact that the first individual move in history would have been by Cain, who “left the Lord’s presence and settled in the land of Nod, east of Eden” (Genesis 4:16). I recognize there are some more adventurous types who do not share my deep craving for stability. America, after all, was populated by immigrants (my own grandparents among them) who had the fortitude to get out of the situation they found themselves stuck in and go to someplace with greater opportunity. Once here, Americans have traditionally been a highly mobile people. Yet movement takes its toll on people and has undoubtedly exacted a severe price – not just on individuals but on our collective national experience. Our modern economy also encourages the greater movement of people and businesses, all of which presumably contributes to a more productive and more free economy. On the other hand, my own personal experience and that of many others I have spoken to is that, especially in people-oriented professions, it takes a significant amount of time to hit one’s stride and become truly effective. Perhaps that is what underlies the traditional practice of the Church in formerly favoring life tenure for Bishops and Abbots. Canon Law (c. 522) also expresses a certain preference for pastors to be appointed for an indefinite term in order to possess stability in office. (That sounds a lot like our American system for federal judicial appointments). In the US, bishops are authorized to appoint pastors for a definite, but renewable term of 6 years, which I suspect may be common practice – 12 years widely being seen as the optimal term of service for a pastor. (In my case, since I am a member of a clerical society of apostolic life, to whose care the parish has been assigned by the local bishop, my initial term of appointment will be even shorter – just 4 years – in accordance with the constitution of my community). Ministry in the Church has always entailed some degree of readiness to move – despite the difficulties moving inevitably creates for both individuals and communities. Jesus, himself, in the gospel account proclaimed just last Sunday (Luke 10:1-9) directed his disciples to go to every town and place to proclaim the kingdom of God. 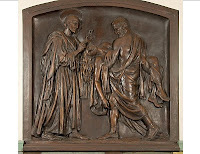 I have a particular fondness for that gospel account, among other reasons, because it was the one read at my ordination to the priesthood in Toronto in 1995. That ordination began several good and increasingly productive years of priestly ministry in the St. Peter’s community in Toronto, followed then by these incredibly blessed 10 years (now quickly coming to a close) as part of the St. Paul the Apostle parish community in New York. As I work my way through the physical stresses of packing and moving and the emotional stresses of saying good-bye to people, Jesus’ words to the 72 disciples and the privilege I have been given to share in their mission will I trust strengthen me to undertake my wonderful new assignment as a pastor with even greater enthusiasm. Exactly 152 years ago this week, on July 7, 1858, Fathers Isaac Thomas Hecker, Augustine Hewitt, George Deshon, and Francis A. Baker signed the Programme of Rule and Constitution of the Congregation of Missionary Priests of St. Paul the Apostle, thus creating the community commonly known ever since as The Paulist Fathers – the first men’s religious community founded in the United States. 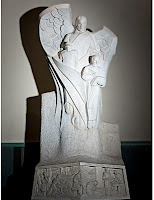 Three days later, on July 10, 1858, New York’s Archbishop John Hughes erected the parish of St. Paul the Apostle between Holy Cross Parish (founded 1852) and Annunciation Parish (1853) on the west side of Manhattan and assigned the pastoral care of this new parish to The Paulist Fathers. (The parish originally extended almost 3 miles north from 54th St. to 109th St. and 1 mile west from 6th Avenue to the river). Father Hecker became the first pastor, as well as superior of the new community. Hecker’s vision of the mission of The Paulist Fathers was a monumental one – the conversion of America to the truth of the Catholic Faith. 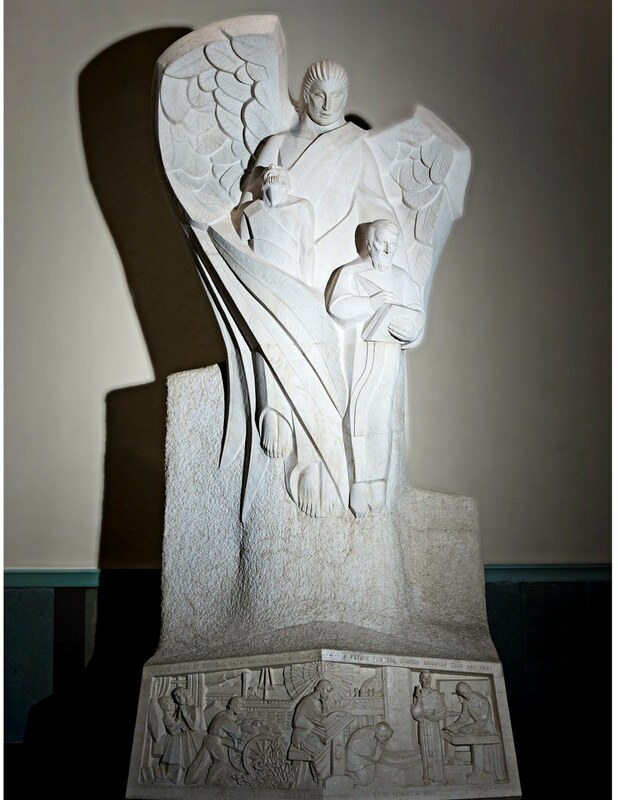 He envisioned St. Paul the Apostle Parish as animated by that same mission, a vibrant Catholic parish reaching out to evangelize American culture locally in New York City, and a center from which The Paulist Fathers would reach out in mission to the entire country. 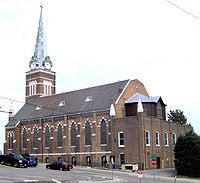 It has been one of my greatest joys to have served at St. Paul the Apostle Parish these past 10 years and to be a part of how the vibrant parish of today has continued to live out the mission servant of God Isaac Hecker first set for it 152 years ago. In 2008, both St. Paul the Apostle Parish and The Paulist Fathers celebrated their common 150th anniversary with a series of special parish events here at St. Paul’s and a great community convocation in Washington, DC. 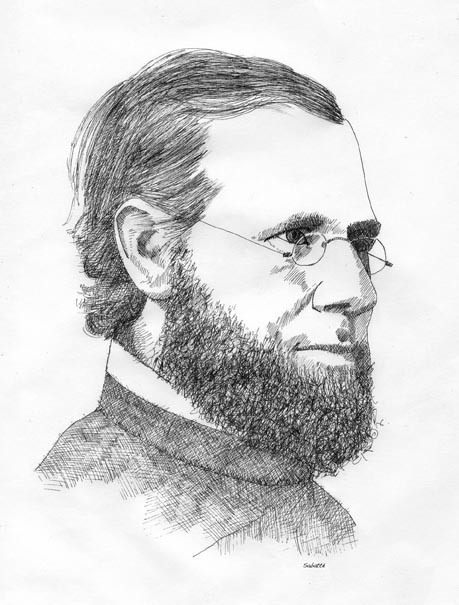 The anniversary began in a very special way for me with my appointment as Vice Postulator for the Canonization Cause of the Servant of God, Isaac Thomas Hecker, which then led to my being asked to edit Isaac Hecker for Every Day: Daily Thoughts from the Founder of the Paulists (Paulist Press, 2009). From my first encounter with Hecker’s story when I was discerning my vocation in 1981, I have been fascinated by his spiritual journey and how, having found in the Roman Catholic Church what he had been seeking, he devoted all his energy to sharing what he had found with this great country which he loved so much. Being Vice Postulator for Hecker’s Cause and editing that devotional book have enabled me to immerse myself more systematically in Hecker’s experience and spirituality. God willing, I hope down the road to be able to make my own written contribution to the study and appropriation of Hecker’s theology. But how to connect the two? In one sense, I suppose, the linkage may seem obvious. It may no longer be the case, perhaps, as it was in 1782 when Benjamin Franklin wrote, “that persons may live to a great age in [this] country, without ever having their piety shocked by meeting with either an Atheist or an Infidel.” Yet there is still no other Western country in which religion – and the Christian religion in particular – is so strong and vibrant as in America. Something like 90% of Americans claim they believe in God, and some 60% say religion is very important in their lives. We Catholics, of course, have a long history (going back to the Roman Empire) of thinking about how to relate our faith to civil society – a long tradition of practical wisdom concerning social and political life. Today’s Gospel, however, highlights not our ordinary obligations as citizens, but our special duty as disciples, commissioned by Christ to evangelize the world – starting with ourselves and with the society in which we live and which we are committed to. Jesus’ action in sending the 72 disciples as a kind of practice-run for what they would later be doing after his ascension reminds us that evangelizing, as Pope Paul VI famously expressed it in 1075, “constitutes the essential mission of the Church” – in every age and in every society. 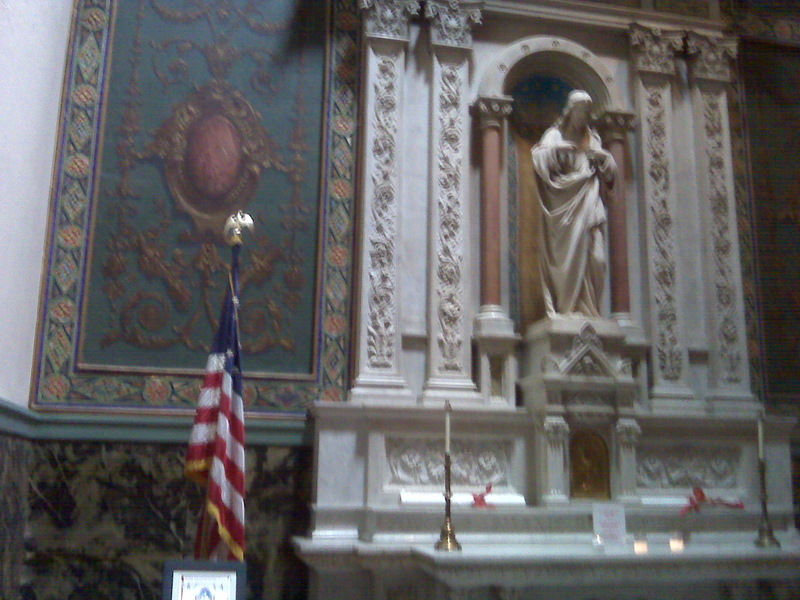 Homily at St. Paul the Apostle Church, NYC, July 4, 2010. July 4 is noted as a day for fireworks and hot dogs. When I was a kid, my father and I used to go up to the roof of our Bronx apartment building to watch fireworks from whatever direction they might be seen. Later, I can remember attending Macy's famous fireworks on the Hudson River. Twenty-five years ago, I watched (through the fog) the fireworks by the Golden Gate Bridge in San Francisco. In recent years, generally finding myself alone on such occasions, my fireworks watching has been mainly on TV. As for the hot dogs, I'm sure I miss the family Fourth-of-July cookouts much more than I've ever cared about the fireworks! This year, I'll be celebrating July 4 by flying from Knoxville to NY in the morning, hopefully getting home in plenty of time before the 5:15 p.m. Mass, after which I will probably end up either catching up on the Sunday Times, or reading Kristin Lavransdatter, or watching TV, So, no cook-out for me this year either! July 4 also is - or at least ought to be - a good day to take stock of the state of our nation, now 234 years old. If anyone were tempted to doubt the greatness of this country, I suppose all he or she would need to do would be to ask some of the people from all over the world who are so eager to come here - as folks from all over the world (among them my own grandparents) have been as long as this country has been in existence. That having been said, it's hard to avoid also acknowledging that things could certainly be a lot better, and the prospects for our national life less promising than they might be. To me the mess in the Gulf of Mexico sadly symbolizes the situation all too well. As a particular event, it has its specific causes for which responsibility may in the end be assigned. But the ultimate cause, of course, is our modern way of life and our lust for the resources that make it possible. Our apparently uncontrollable appetite for oil (preferable at the lowest possible price) has led us to a public policy impasse, while leaving us open to the kind of technological disaster that one probably could have expected sooner-or-later. In contrast to the "failure is no an option" attitude that seems to have characterized America once upon a time, today we face problems increasingly unresponsive to available solutions - a technological state of affairs which is sadly mirrored in our contemporary inability to deliberate and debate public policy issues as a nation of rational adults. Well, that's the way it is (as an eminent newscaster whose career personified an earlier way of life and an older and better value system). Tomorrow is a day to celebrate (with fireworks and hotdogs) all that we have been and what we may hope yet to be. But after the fireworks have finished and the hot dos have been digested, we will need as a society to get serious again about making it really happen. I arrived in Knoxville right around noon on Wednesday, June 30. Since then, it has been an almost steady round of meeting and greeting. Thursday, for example, began with a parish staff meeting, at which I got to meet and talk with all the members of the parish staff. That was followed by an ecumenical lunch meeting at another downtown site. Then the pastor, the associate pastor, and I walked to the 2 banks that handle the parish and Paulist accounts and spent an entertaining hour or more filling out forms and signature cards. While there, I took advantage of the opportunity to open a personal account for myself at First Tennessee Bank - one more step on my odyssey to becoming a Tennesseean! Next, the pastor and I paid a call at the neighboring parish, the parish within which our common school is located. After a pleasant conversation with the local pastor and greeting his associate, we returned home to the Paulist house for our community dinner. Then it was back to the church for an evening with the Parish Pastoral Council and the Parish Finance Council. This morning, the pastor and I visited the school and the Diocesan Chancery, after which we concelebrated the noon Mass in the parish church. Now, as the city's pace shifts into holiday weekend mode, I am sitting by myself in our Paulist house, reading the Diocesan Handbook. Moving has to one of life's most highly stressful activities, especially for those of us who are older. As I look ahead to the physical stress of moving later this month and to all the emotional farewells that lie ahead, I am encouraged by what I have seen here - now that I have seen for myself what a great place I will be moving to, what wonderful people I will be working with, and what exciting and dynamic Paulist ministry I will be part of.